Previously JC & Jacques Hispanic Advertising Multimedia llc. It’s our focus on creativity that brings results. Our ideas, talents and creativity come from above. Therefore, they are original. They are not copies of someone else’s jobs. That puts our company in the mouth of our customers, who don’t only keep seeking our services but also recommend us to other companies and individuals. We value talent over experience. Why? Because experience does what it’s expected to do and tends to follow what’s told, leaving small room for creativity. But you take talent and it thinks, analyzes, and creates before you even get a chance to speak. Therefore, we don’t just provide design, advertising, printing products and services. We create ideas that any market of any culture will look at, will remember and will consume. It’s our strength in the Latino Market. We know our people and our language. We know what they are looking for and what they need. If you are seeking to successfully expand your company by getting into the Hispanic world, our portfolio speaks for itself. 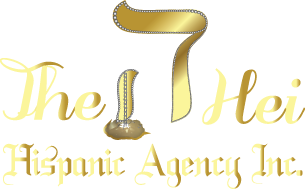 Why The Hei Hispanic Agency Inc.? Copyright © The Hei Hispanic Agency Inc.